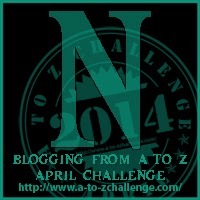 The Ninja Librarian: N is for. . . Nebraska! My review today is a book that might be set in Nebraska. The author never says exactly where the book is set, but to me a sod house will always mean Nebraska, thanks to my family having come from a soddy in that state. It is also one of my "Middle Grade Classics" reviews. To make life more exciting, this is also the day for the Kid Lit Blog Hop. Check out the cool new KLBH Logo! 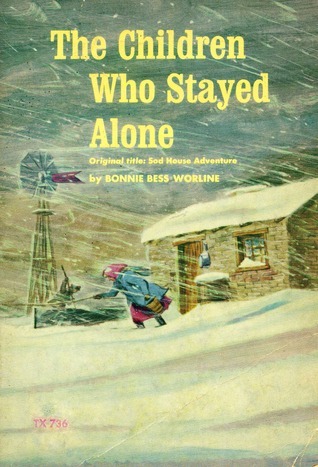 Title: Sod House Adventure (Later retitled The Children Who Stayed Alone). Publisher: Longmans, Green & Co, 1956. 147 pages. Source: I got this as an ebook from Open Library; it is a scanned copy of a book with a blank library binding. The initial episode, and the one that kicks off the other adventures, is a period of several days when the seven Dawson children, ranging in age from Phoebe, who appears to be about 12 down to the baby, are left alone. From there we go on to other events in a year on their homestead. Neither the place nor the year is specified, but I choose to believe it is Nebraska (see above), and the year would be sometime in the second half of the 1800s, not long after the "Indian troubles" were over. This is the story of pioneer children who work hard, and take their pleasure where they find it. The book is undeniably dated, and bears that "goody-two-shoes" feel that many from the era (and earlier) have. But it does capture life on the farming frontier in a vivid way, and shows the area filling up with people (I kept expecting them to pull up stakes and move farther west--but that was just the influence of Pa from The Little House on the Prairie). The children, though too good to be believable, are engaging, and the story is a quick and pleasant read, though nothing more than that. There are better stories of the period--like the Little House books. Recommended for anyone who likes historical stories about the settlement of the West and doesn't mind some unrealistically well-behaved children. Full Disclosure: I borrowed Sod House Adventure from my (digital) library, and received nothing from the writer or publisher in exchange for my honest review. The opinions expressed are my own and those of no one else. I am disclosing this in accordance with the Federal Trade Commission's 16 CFR, Part 255: "Guides Concerning the Use of Endorsements and Testimonials in Advertising." Well-behaved kids? 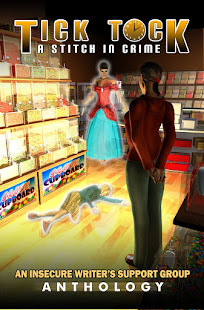 Sounds like a FANTASY novel to me :) Stopping by from Kid Lit Blog Hop. LOL! And ones who are really happy to work really hard and be as much like grown-ups as they can! Right and wrong seem easy. Hard work is another story! Oh, you should! Those books are worth looking at again as an adult. As opposed to these days, where I sometimes feel that all swearwords have become commonplace terms, and thus have lost all their magical powers. Someone pointed me at this one, and I can't remember who, where or why. But sometimes it's just amazing to look at how kids' books have change in even my lifetime. I used to love reading books about roughly the time period you're talking about. There was a wonderful series I used to like, but can't remember the name of it for the life of me now, of course. 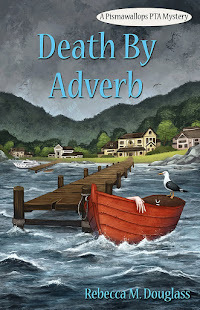 Thanks for sharing on the Kid Lit Blog Hop! Hmm. We'll assume it wasn't the Little House books :) Give me some more clues and I'll see if I can figure it out--I have read a LOT of those books! Interesting find Rebecca. I really liked the little house series and from your description, this book seems to fit the period. Thanks for sharing the book review on Kidlit Bloghop this week! It is very much of that era--both the setting and I think the time when it was written (well after the fact). It's not as compelling as the Little House, though--I think the kids are too good, as compared to the very human Laura Ingalls.